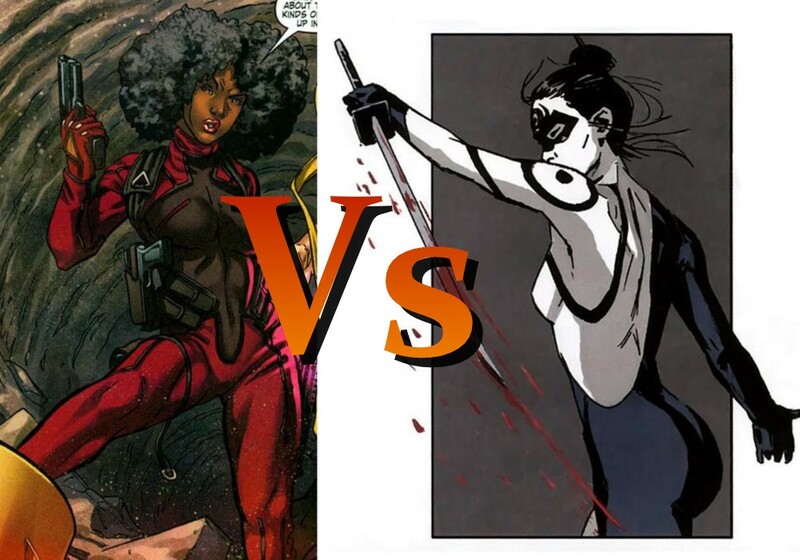 Misty Knight– Expert martial artist with additional training by Coleen Wing (modern day Samurai) and Iron Fist (one of the greatest martial artist on earth). Excellent street fighting skills and proficient in the use of conventional firearms. Bionic arm is made from Vibranium and diamond able to fire lasers, liquefy metal on contact even adamantium, generate a wide anti-gravity repulsor field similar to Iron Man’s armor, and cryogenic rays to freeze. . Arms grants her greater strength and even a limited force field. Lady Bullseye– Lady Bullseye is an assassin highly skilled in hand to hand combat. She has been trained in many forms of martial arts and is skilled with various weapons from the East. She also has the ability to remain extremely calm under stressful conditions. She also has uncanny accuracy with thrown objects. Her speed is also of note since she can dodge Bullets and go toe to toe with Daredevil and Elektra. who do you think would win?and why?